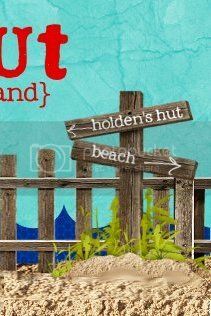 Holden's Hut: Now we're cookin! 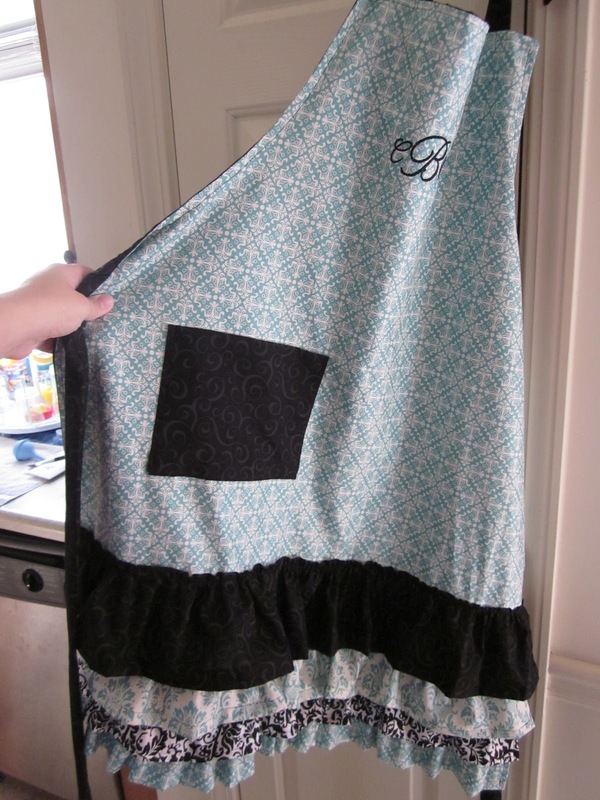 A few weeks ago we were contacted by a friend of a friend about making her an apron. Of course we jumped at the chance to make another! 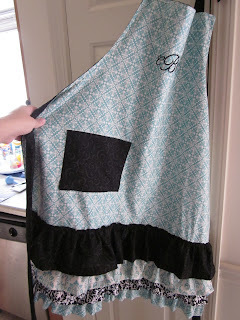 Aprons are an important part of cooking and if you have to have one, then why not make it super cute?? 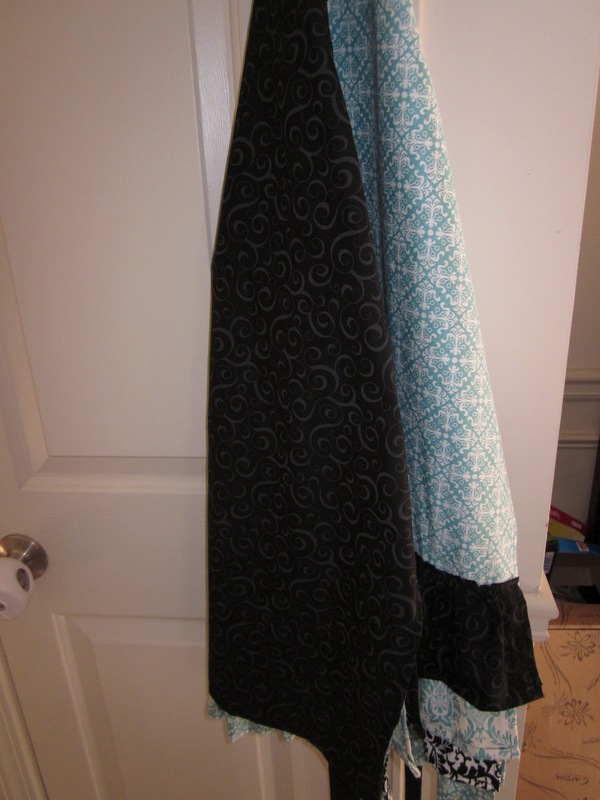 These aprons are made to order with your choice of colors. 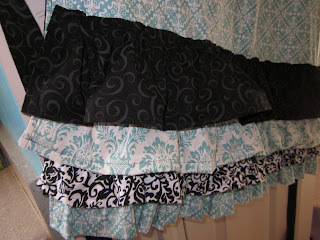 The come lined and include four ruffles with coordinating fabric. These are perfect for not only you, but as a gift to give! 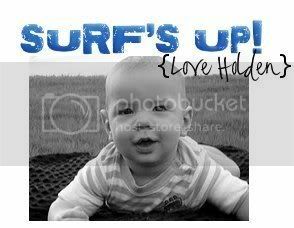 They also come monogrammed with your initial, monogram or name! So get your now!